The previous sections gave information on the history and personages of the wer-world, ending with Saragossa's family. 'Wer' simply means 'man', so 'werewolf' means 'manwolf' (or, as it is more familiarly seen 'wolfman'), and 'wer-bat' means what we normally call a 'vampire', or 'batman' as he truly should be. The disease that allows an animal genome to enter into a human's cell (a mutant strain of rabies called Wepwawet's strain or, simply, Wepvirus or Weprabies), has made itself at home around the world, in many cultures and in many animal forms, since all warm-blooded creatures are capable of being infected with rabies. Normally cold-blooded animals cannot carry rabies, but late 20th century science learned how to do this, and, it seems, so did the 'magic'of Egypt of thirty centuries BCE. There is a mental link between a master vampire and his offspring. This is the same mental link that enables magic to work, and it was used on the virus in Ancient Egypt by the master wer-animals (or 'gods' as the Egyptians thought of them – not without justification) to cause the virus to take hold in cold-blooded animals – the crocodile for example. In any case a wide variety of animals have been blended with the human genome, but the most successful candidates are of approximately the same body mass as a person, since the change must conserve mass. If not all the human cells are needed, they can be sloughed off as a slurry of de-differentiated cells, but the mass of the new wer-animal plus the slurry must equal the mass of the human before the change. If the human's mass is less than the animal into which he is turning (as in wer-bears), the result will be a very small wer-animal, say a one hundred-fifty pound bear. This happens (and the result can be terrifying despite its small size), but by far the most successful wer-animals have been the werewolf (also spelled werewolf) and the wer-jaguar. 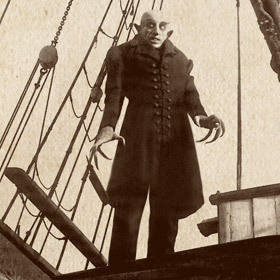 Perhaps the most famous example has been the wer-bat, the vampire, but it is truly rare, as it takes decades to master the adaptations which make a blueprint designed for a (at most) one ounce animal accommodate one hundred-fifty pounds of human flesh. This only happens when the candidate has a master vampire to coach him, and even then, it usually only happens to a candidate who is already 'wer', and has mastered another form. This is because the bat bones are too fragile to handle a human's weight. They break and the candidate can die from internal bleeding – not to mention the impossibility of flight without serious modification of the wing design. But a wer's bones can be strengthened with time and training, as well as its muscles, and the reward for mastering the bat shape is great – immortality, instead of just the extended life span of the other wer-animals, and......flight. Once the necessary changes are mastered, the glory of unfurling twelve-foot wings, taking a forty-foot leap straight up, and smoothly passing into flight, is unsurpassed – even just to watch this, is almost a religious experience. Why is it that the bat form endows true immortality? Unlike any other animal, bats can carry the rabies virus asymptomatically. They can have the virus without the disease. The virus, not harming their bodies, is allowed to live indefinitely in their systems. From the point of view of the wer-disease, this is most wonderful. If the immune system does not destroy the virus, the host will not revert to 'normal' and begin aging. Alone among the wer-animals the wer-bat, the vampire, is truly immortal, although the other wer-animals, if their virus is virulent, can be very long lived. Anubis had come to Mexico, looking for the source of the fountain of youth, immortality. He never realized it, but the vampire bat was the answer to his prayers. Not the original infection which had made Wepwawet a godling, but something even better – a system that hosts the virus without provoking an immune response. Knowing nothing of viruses, Anubis missed this fact and his only chance for true immortality. Anubis never tried to capture the bat form, although his priests tried repeatedly. They failed because a human's mass has to be conserved and the bat's small size won't accommodate that much weight. However, they finally found success with a man I call Quetzalcoatl. (This was not his Olmec name, but he was the model for the later Aztec god named Quetzalcoatl.) Quetz had a phototoxic disease that caused his skin to blister, making him a true creature of the night, which, in the eyes of the Olmec priesthood, made Quetz a perfect candidate for the bat form. He received the full training for priesthood and Anubis's personal help (including the infection directly from Anubis long before attempting the bat form). He was a spectacular success – the first human to fly on bat wings. But all his wer-children carry the phototoxic genes, and his whole lineage of vampires fear the sunlight. Whatever form a wer takes, the new head has to accommodate the human brain and brain case, or else the mind is altered, memories lost, human thought processes corrupted. No master wer ever changes completely – he'll at least keep his brain case intact, and usually his mouth and lips are kept capable of speech and his hands capable of grasping. So the final result always looks like a cross between a human and an animal. Of course, newbies without a master to guide them have no control and if somehow, nearly miraculously, they do go through the change, they will almost certainly get lost in their animal form. Then, even if they spontaneously change back, their mind is forever altered. In history, it is only known that two people – Wepwawet and Dracula – ever made the complete change and arrived at mastery without a master to guide them; Wepwawet made the change because of the deep yogi-like training he had undergone; Dracula made it through sheer evil will power, or, it is sometimes said, that he had the help of a Dark Force which had long prepared his family line, culminating in a child named 'Son of the Devil', Dracula himself. If the human is infected by blood transfer, he will likely die before or during the coma. If he survives, he will likely die during the first change – unless he has had special training or an experienced guide to help him through the change. If he does survive, he will likely be killed by his neighbors. He will have the most virulent form of the virus (directly from a Wepwolf), but no knowledge of how to train himself to take advantage of this. He will not be a master werewolf, but a 'garden variety' werewolf, prey to his own superstitions, ignorance and fear, and to the wild reflexes of the wolf genes, and to the murderous instincts imparted by the Weprabies virus. In short, he will be an undisciplined killer, who will shortly be killed himself, leaving no offspring. Dracula had the Wepvirus dormant in his genes – the virus can be passed down from mother to child directly through the blood supply. This virus had come from the weakened disease spread around Europe by Quetzalcoatl – in other words it was the vampire form of the Weprabies and not the wolf form. It might have contributed to his wicked temperament, but conferred little special advantage, until it was activated by a direct (and intentional) infection from the primary source – the rabid Wepwolf found in the Carpathian mountains of the Wallachian and Transylvanian regions where Dracula lived. The wer-jaguars were first brought into existence by Anubis around 1200 BCE in Mexico, in the regions of Oaxaca, Tabasco and Veracruz. 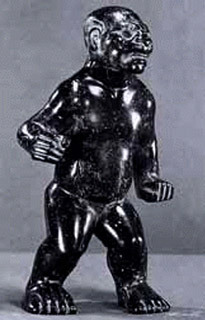 The very first wer-jaguar was Anubis himself (his likeness being modeled countless times thereafter in Olmec art). The rest were made from his Olmec priests, whom he had trained to survive the change, and, since there was no immunity to the Wepvirus built up in the Indians of Mexico, the Weprabies infection was far more virulent than was the case in Egypt during the thousand years prior to Anubis' voyage to the New World. 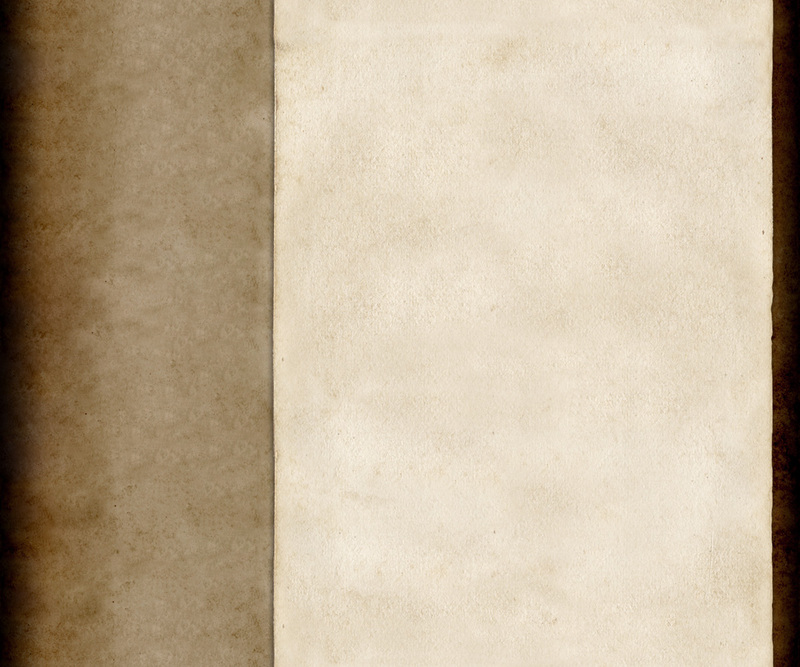 The priests, 'shamans', made the change completely. Even priests who were infected by other wer-jaguars (not by Anubis himself) made the change. After Anubis died or disappeared, the wer-jaguar cult carried on from its own momentum. It is unknown how long shamans capable of the true change continued to exist. Eventually the Wepvirus weakened or the Olmec immune systems strengthened to the point where the changes were, at most, minimal – facial features, clawed hands, furriness. Later Dracula and his lieutenants came several times to jaguar country to hunt down and kill the remnants of this once feared priesthood. Of course, many of the weaker strains survived, and it has even been reported that there has been a resurgence of jaguar shamans able to make the change in the pantanal region of Brazil. If so, it means that a renewal of the virulent form of the Weprabies has been introduced. By whom and how is not known, but one vague possibility is that Quetzalcoatl was not the only vampire strain created in Oaxaca. Perhaps either he created another wer-bat (which would be a day-shunner), or a master wer-jaguar oversaw the creation of another vampire directly from a vampire bat (which would be a day-walker, not having Quetz's photo toxicity disease). If so, that virus would have remained as strong as it originally was (which would not have been nearly as strong as the 'original source', the Transylvanian rabid wolf.) In which case, this 'hidden master vampire' might be creating relatively powerful wer-jaguars. The situation is unknown even to Sandman, but this thought was his suggestion. 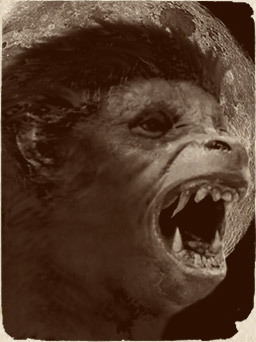 Next is a small section on the vampire bat – not the wer-bat, the 'vampire' brother of the werewolf, but Desmodus rotundus, the tiny nocturnal Central and South American bat, a most unusual and interesting creature whose unique characteristics have allowed the existence of the vampire 'monster' we love and fear. Clinical manifestations can range from mild to severe. Chronic damage of skin, cartilage, and bones can cause mutilation. Hypertrichosis, erythrodontia, and reddish-colored urine are often present. Hemolytic anemia can be mild or severe, with resultant splenomegaly and osseous fragility. EP is reported in diverse populations. The total number of cases reported worldwide is less than 200. The teeth have a reddish color." I have photos of what can happen to people who don't have the virus. (I don't know the status of the copyright on this photo and would be very happy to give the appropriate credit, if I knew it.) The hands are extremely burnt and parts of the fingers have fallen off. It is much, much worse for the heirs of Quetzalcoatl, including Dracula and all his wer-children.